15 Guantanamo Bay Detainees Transferred To United Arab Emirates : The Two-Way It's the largest single release of Guantanamo detainees since President Obama took office. The population of the military prison in Cuba is now down to 61. A static display shows the belongings of a typical inmate in a prison cell at camp V at the U.S. military prison in Guantanamo Bay, Cuba, in 2013. Fifteen prisoners at Guantanamo Bay have been transferred to the United Arab Emirates — the largest single release of the Obama administration. The population of the military prison in Cuba is now down to 61. President Obama has long vowed to close Guantanamo, but efforts to transfer prisoners to the U.S. have been blocked by Congress. As a result, any release must be coordinated with another country. That poses a particular challenge for detainees from places like Yemen, where the U.S. won't repatriate prisoners because of security concerns, as a third country must be found that is willing to resettle them. Twelve of the prisoners released on Monday were from Yemen; the other three were from Afghanistan. The UAE has accepted released prisoners twice before — one UAE citizen repatriated in 2008 and five Yemenis resettled last year. The Yemenis previously sent to the UAE are believed to have been placed in a government-run rehabilitation and monitoring program, The Associated Press reports, although details are unclear. With the new transfer, the UAE has taken in a total of 20 prisoners for resettlement. Oman has also resettled 20; no other country has accepted so many nonnative Guantanamo detainees. Six of the newly released prisoners had been approved for transfer for more than six years — the Guantanamo Review Task Force, which reviewed cases starting in 2009, had unanimously approved them, the Department of Defense said in a press release. The other 12 prisoners, including all three Afghans, were cleared for release by the Period Review Board between January 2014 and May of this year. Two of the Afghan prisoners — Mohammed Kamin and Obaidallah, who only has one name — had been briefly charged in a military commission, The Miami Herald reports. The war crimes prosecutor dropped those charges. 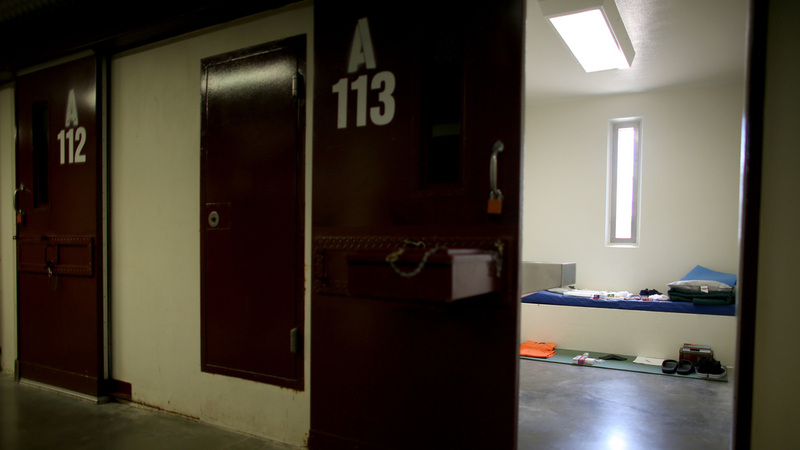 The other 13 prisoners had never been charged with a crime. The New York Times reports that with these 15 prisoners sent for resettlement in the UAE, there are now only 20 Guantanamo prisoners who have been approved for transfer and are simply waiting for a country to agree to take them. "While it appears increasingly unlikely that President Obama will succeed in closing the prison before he leaves office in January," the Times writes, he's "significantly closer" to releasing all the men on that shorter list of detainees. Amnesty International welcomed Monday's transfer and described Guantanamo as an "ugly stain" on the U.S. human rights record. The prisoner release was criticized by the Republican chairman of the House Foreign Affairs Committee, the AP reports: Rep. Ed Royce called the detainees "hardened terrorists." "The Office of the Director of National Intelligence says 5 percent of Guantanamo prisoners released since Obama took office have re-engaged in militant activities and an additional 8 percent are suspected of doing so," the AP writes. "That compares with 21 percent confirmed and 14 percent suspected during the Bush administration." Nine detainees were transferred to Saudi Arabia in April. Since then, one was released to Montenegro, one to Italy and two to Serbia.